There has been some confusion as to how someone could win Paranormal Bino. So, here's the updated rules. How the Paranormal Bingo game will go: I will list thirty-five(35) paranormal terms on the 15th of each month. You will pick 15 words and Private Message them to me; this will be considered your bingo card. Bingo cards will only be accepted from the 15th to the 28th of each month for the following month's bingo. No PM's are received after the 28th of the month. You will receive an answer from me confirming your bingo card pics, before the 1st of the month. If you do not get a PM confirming, please let me know by PM or by posting in the bingo thread. Please make sure you keep a list of the terms, that you have chosen for your bingo card. In that way, you can check off the called words. One word will be picked per day and posted in the thread. The 1st person to get all 15 terms(that you have PM'd me with), will post "BINGO!" in the thread and will be the winner once confirmed. At that time, Pooky Points are then awarded to the winner. To win, you must post "BINGO!" before the next day's term is called. If there is more than one winner, the points will be given to the person who posted "BINGO!" first. We will play Paranormal Bingo for four months, and the person how accumulates the most Pooky Points will be the winner. After four hands(months) of Bingo is played the person with the most points wins. If after playing all four hands of Bingo, there is a tie score amongst the hand winners, I'll set up a "Sudden Death Round"* and then who ever posts "Bingo!" first wins the game. *The "Sudden Death Round" will be played just as the regular Paranormal Bingo game was. 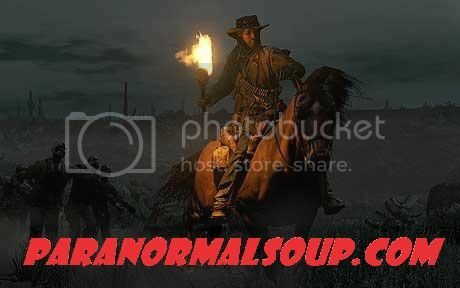 I will post a list fifteen(15) paranormal terms. You will pick five(5) words and Private Message them to me. These picks will be considered your "Sudden Death" card. You will receive a PM confirming your "Sudden Death" card picks. If you do not receive a confirmation PM, please let me know by PM or by posting in the Bingo thread. I will then post a word daily until one of the Bingo winners posts "BINGO!" and that person will be the winner of the Paranormal Bingo game and receive a Custom Status Tag. You are responsible for keeping track of your own bingo card. I have your card only as a reference, to check when someone posts "BINGO!" and to confirm you for the game. If possible, please print this out and keep for reference! Hope you will all join me in this. I think this is going to be a blast. Any questions, please ask. See you on the 15th with the paranormal terms! P.S. I will let you know tomorrow, what the prize will be for the person who has the most Pooky Points. Edited by MacCionoadha BeanSidhe, 16 August 2017 - 05:16 PM. I hope these Pooky Points aren't barbed!!! 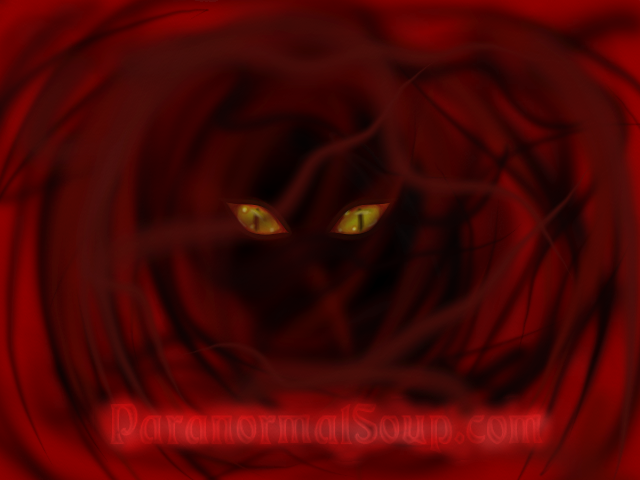 Just a reminder: I've listed thirty-five(35) paranormal term, you must pick 15 terms and Private Message them to me. That'll be your bingo card. I will only accept Bingo cards from the 15th thru 28th for June's game. No PM's will be accepted after the 28th. You will receive an answer from me, confirming your bingo card picks, before the 1st of the month. Please let me know by PM or by posting in the bingo thread, if you didn't get a confirmation PM. Please make sure you keep a list of the terms, that you chose for your bingo card. If you get all the terms you chose, reply in the thread "BINGO!" and will be the winner once confirmed. At that time, Pooky Points will then be awarded to the winner. To win you must post "BINGO!" before the next day's term is called. If there is more than one winner, the points will be given to the person who posted "BINGO!" first. You are responsible for keeping track of your own bingo card. I have them only as a reference, to check when someone posts "BINGO!" and to confirm you for the game. Any questions please ask. P.S. The prize for the person, who has the most Pooky Points, will be a Custom Status Tag! . I chose mine... fun game! I'll be adding the definitions of each term, as I post them during the game.. It seems like only the staff members are playing. Well they have till the 28th to join. Hopefully more people will play. I hope many will play by the 28th then.... it should be a lot of fun. Got my 15 in! Sorry I did it so late! I'm liking this! Everyone, there's seven more days, to get your picks in, for the June Paranormal Bingo Game. I hope everyone will participate. When I post that days term, I'll will also post it's definition. Today's the last day to PM me your Bingo picks. The Geiger counter is an instrument used for measuring ionizing radiation used widely in applications such as radiation dosimetry, radiological protection, experimental physics and the nuclear industry. It detects ionizing radiation such as alpha particles, beta particles and gamma rays using the ionization effect produced in a Geiger–Müller tube; which gives its name to the instrument. In wide and prominent use as a hand-held radiation survey instrument, it is perhaps one of the world's best-known radiation detection instruments. The original detection principle was discovered in 1908 at the Cavendish laboratory, but it was not until the development of the Geiger-Müller tube in 1928 that the Geiger-Müller counter became a practical instrument. Since then it has been very popular due to its robust sensing element and relatively low cost. However, there are limitations in measuring high radiation rates and the energy of incident radiation. At this point in time, there is no definitive evidence, that is acknowledged by the scientific community, which shows any reliable correlation between paranormal activity and radiation readings. At present, there is only a working hypothesis.